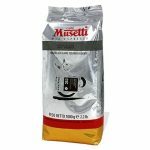 List of Musetti blends currently available in USA. 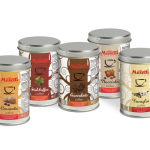 All other blends produced by Musetti are available for business back-orders. 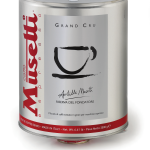 Excellence in Passion for Coffee. 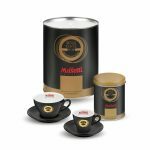 A unique and precious new Blend dedicated to Musetti’s 80th anniversary. 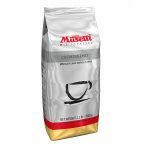 Brazilian and African Arabica coffees marry Indian washed Robusta to generate a final Blend aromatically rich and with fine acidity. 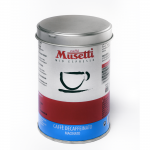 Tradition & Innovation in Esperesso Coffee. A mixture of high quality coffees characterized by a chocolate aftertaste, with hints of vanilla, citrus and light floral notes, typical of the best Arabica coffee from the highlands of Africa. 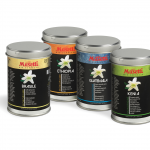 Available in 3 kg (6.6 lb) professional tin packaging in protective atmosphere with one-way degassing valve. An experience as Connoiseur. Single origin coffee comes exclusively from a single plantation. Available in .tin 125 g (4.4 oz) ground | bag 250 g (8.8 oz) beans. 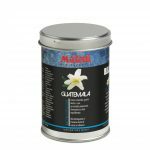 Biologico Midori. A blend of organic coffee with a satisfying taste. Sweet and delicate with fine acidity and persistent after-taste. Low caffeine content. 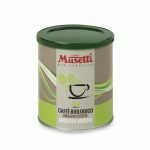 Available in 1 kg (2.2 lb) bag, beans | 250 g (8.8 oz) tin, ground. lasting aftertaste sensations. 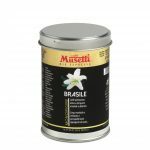 Perfect to blend with hot or cold milk for tasty and gorgeous preparations. Flavored line (125 g) available with mocha grind in the following flavors: Irish Coffee, Chocolate, Vanilla, Amaretto and Hazelnut.